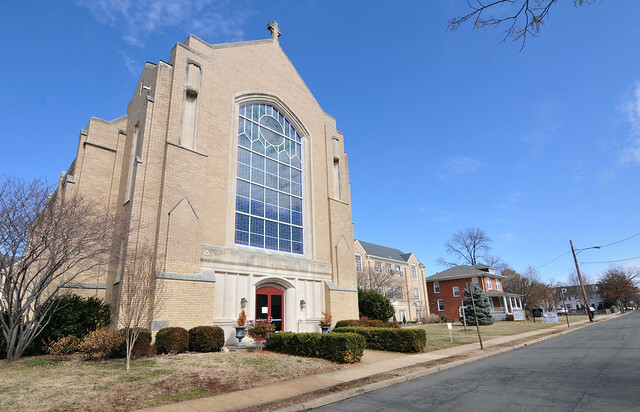 Some of the most prominent and long-standing buildings in Del Ray aren’t stately farmhouses or fashionable Art Deco storefronts, but quiet and contemplative churches around the neighborhood. 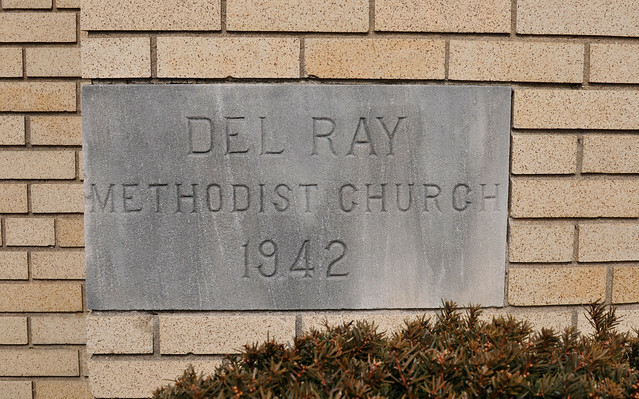 Del Ray United Methodist Church is one of these, tracing its roots in the community back over 110 years. 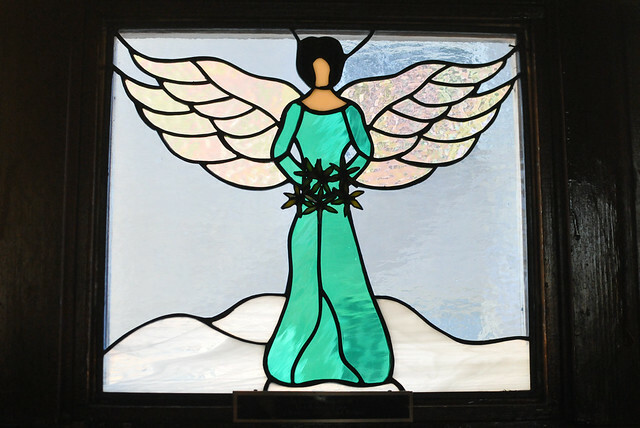 Worshipers first gathered in a house on the corner of Windsor and Leslie Ave. in September 1893. 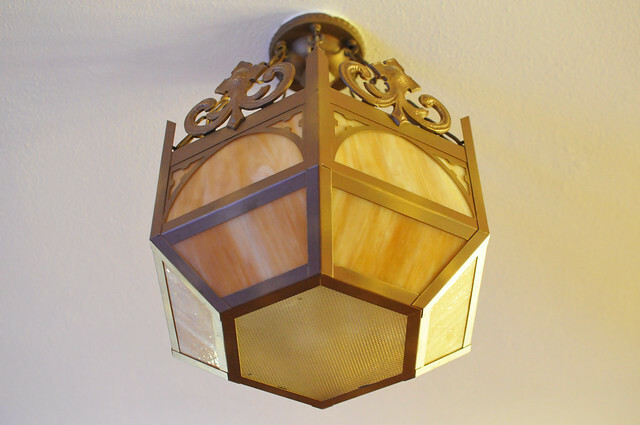 By Christmastime that year, they had constructed a small frame building on the 100 block of East Windsor. 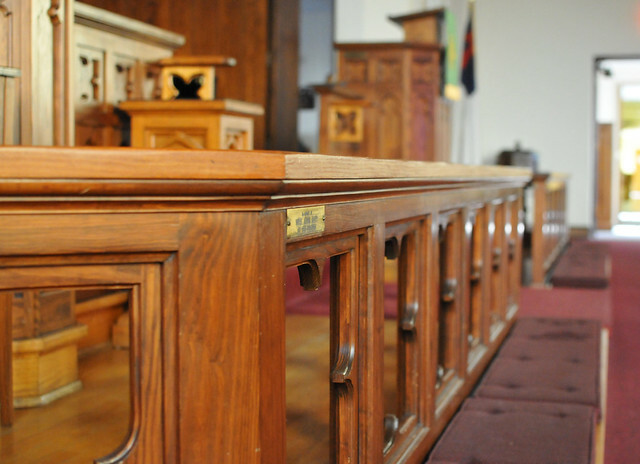 They formally dedicated the church in the summer of 1894. 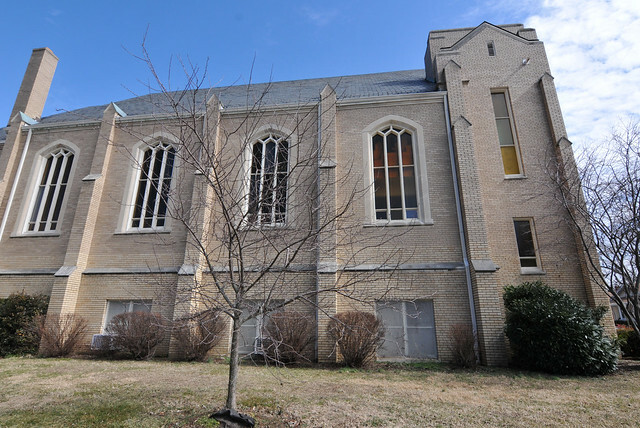 As membership grew, they added more buildings including the fellowship hall named for long-time member Wallace Lunceford. They broke ground on the current church in March 1942. 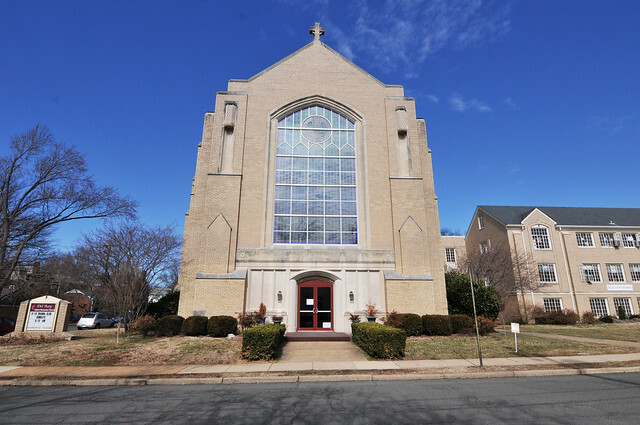 World War II delayed construction and the sanctuary was not completed until 1952. 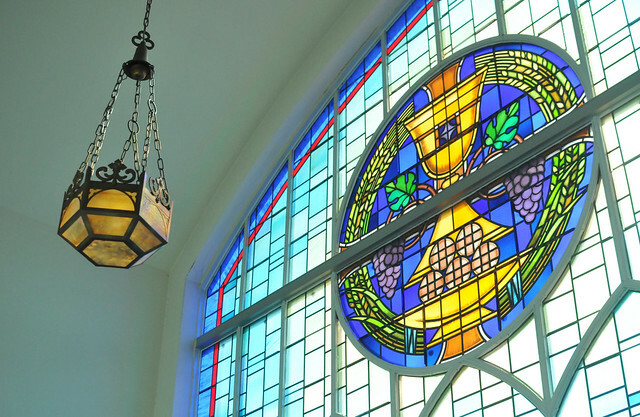 Inside the sanctuary you’ll find magnificent stained glass, with light pouring in from all directions, and intricate woodworking and lighting fixtures. 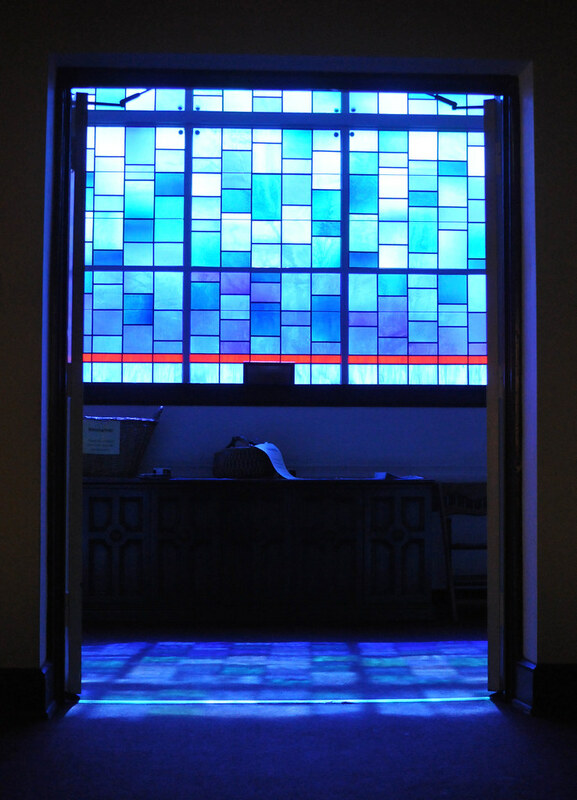 At night, lighting inside the building illuminates the stained glass on the large front facade, producing an incredible display for passersby. 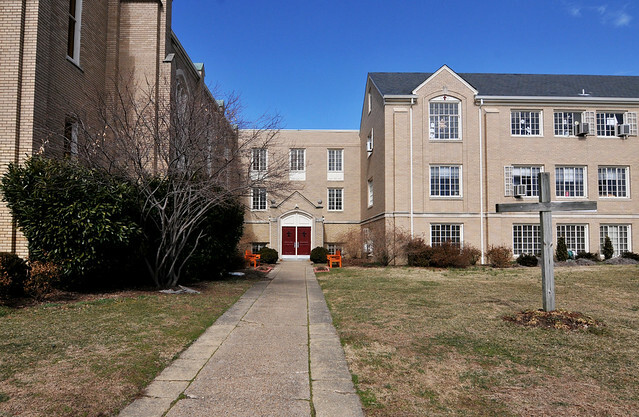 The building adjoining the sanctuary is home to the Creative Play School and the Del Ray Montessori School. The church rents out the basement to various community groups, including exercise boot camps, throughout the year. 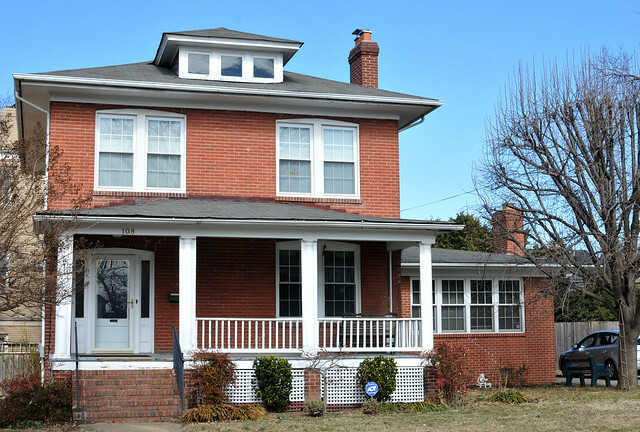 The pastor lives in the parsonage, a modest brick home built in 1923 on the far end of the property. 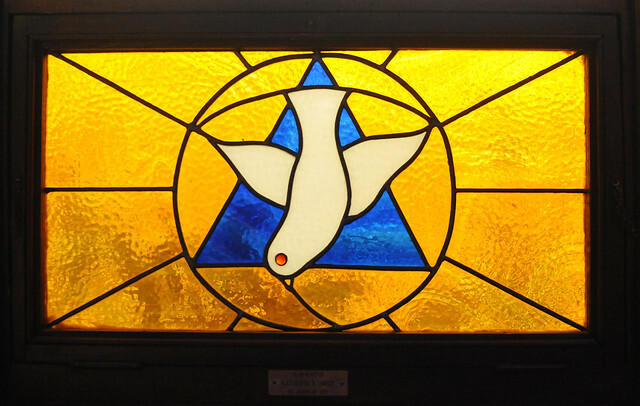 The Del Ray United Methodist Church, like other local houses of worship, is deeply embedded in our history and serves as a welcoming haven in the heart of Del Ray. 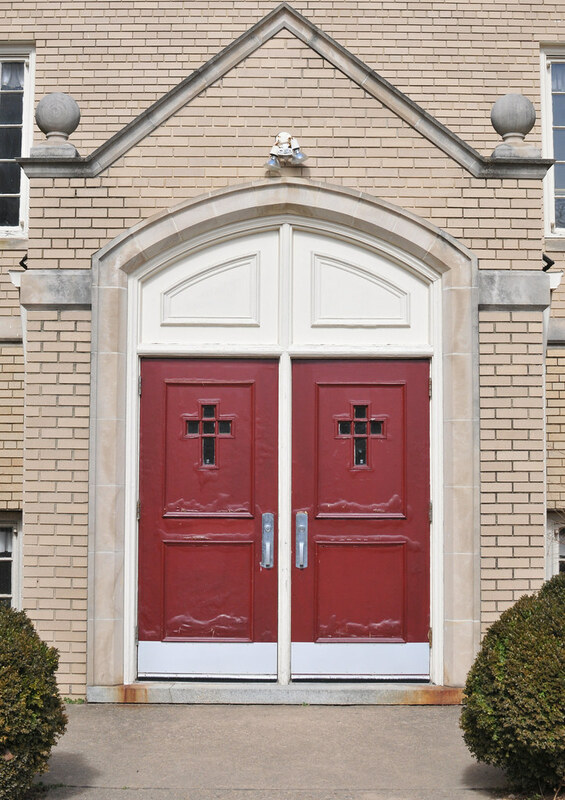 Do you have a favorite Del Ray church or landmark? 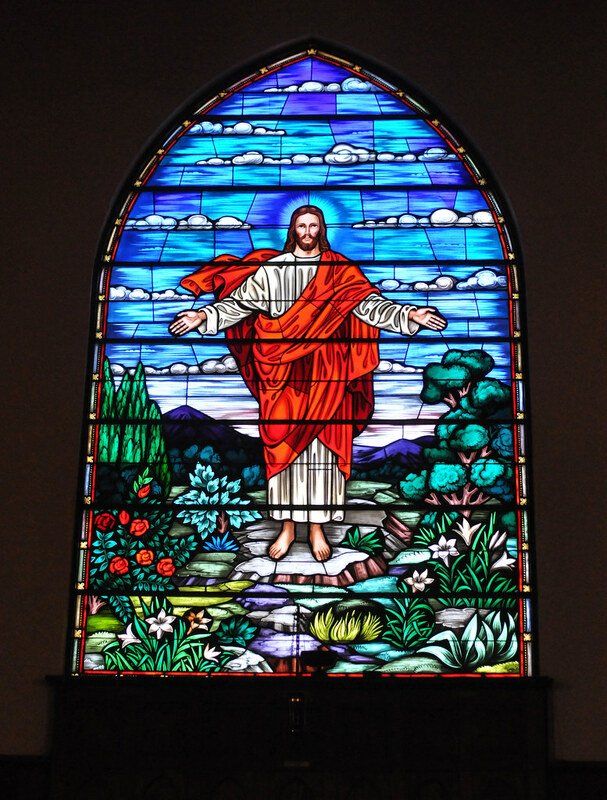 LOVE the stain glass picture of Jesus, I attended this church for many years!